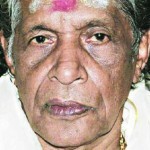 Renowned Erumeli Pettathullal will be held on January 12. Ambalappuzha andAlangattu team will enact the pettathullal. The Ambalappuzha team comprising around 600 devotees, clad in kumkumam will wait at the Kochambalam from morning 11 for the eagle to be present on the sky. It is believed that the eagle is the representative of Lord Ayyappa. After witnessing the bird, the team will start the pettathullal. by 5 in the evening the Pettathullal procession will end, officially. On the same day both the team will perform some rituals like Aazhipooja by Ambalappuzha team and other Pooja by the Alangattu team.